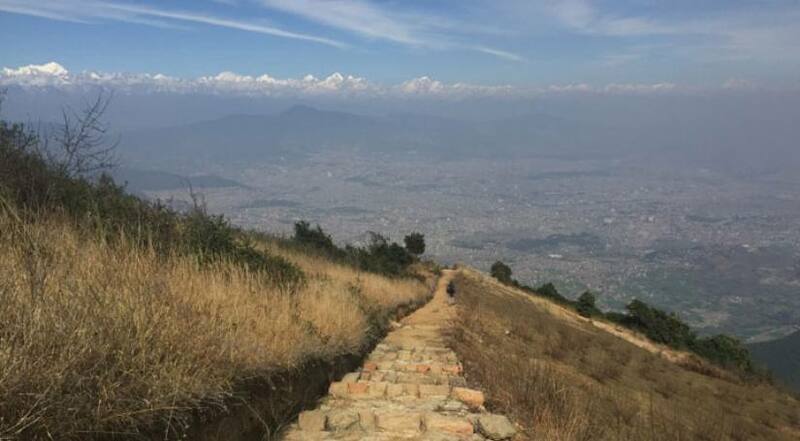 Champa Devi Hill is the third highest hill around the Kathmandu and very famous for a day hike, which is at the height of 2278 meter. From the summit of Champa Devi you can enjoy the panoramic view of mountains and Kathmandu valley. The hike starts in the morning after driving to Pharping. 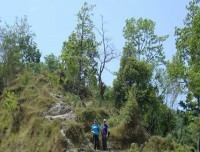 The summit of the hill provides fantastic views of the imalayas like Mt. Langtang, Mt. Gauri Shankar, Mt. Jugal, and the other Himalayas. 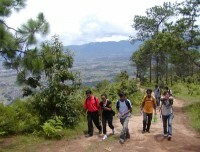 The hill also provides a superb view of Kathmandu valley, Kirtipur City and Pharping village. 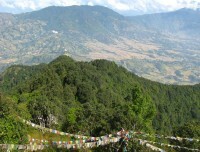 Champadevi is a religious destination for both Buddhists and Hindus. As large number of pilgrims visit this site on full moon day to make an offering and worship the god in Champadevi. In the morning, you will be picked up by a private vehicle from your hotel in Kathmandu. If you are staying outside of Kathmandu, meet your guide in Thamel. Drive to Hattiban Resort where you will take a short rest before you start your hike to Champadevi Hill. It takes about 3 hours to reach the summit. 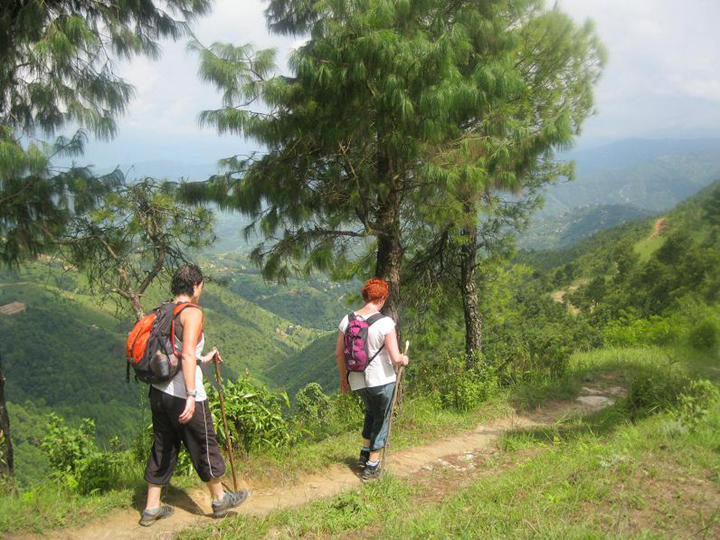 From the summit, you can enjoy a panoramic view of Kathmandu Valley. On the hillside, observe various species of birds and flora and fauna. At the summit, we will take a break and enjoy a light snack. You can even take a quick nap to energize yourself for descent. 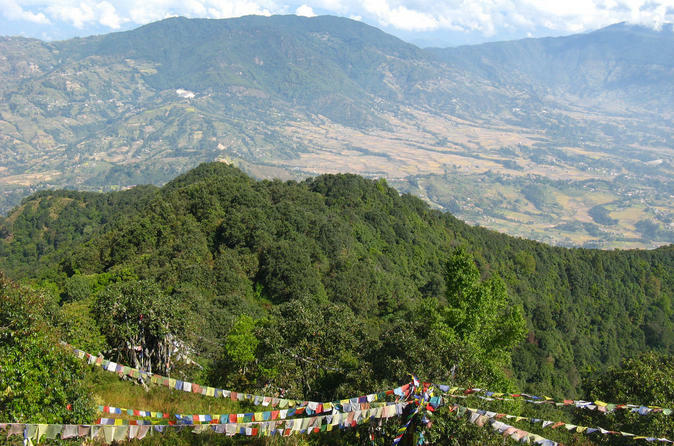 On your way back, visit a famous Buddhist monastery before arriving at Hattiban Resort where we will stop for lunch while enjoying a view of Kathmandu valley. 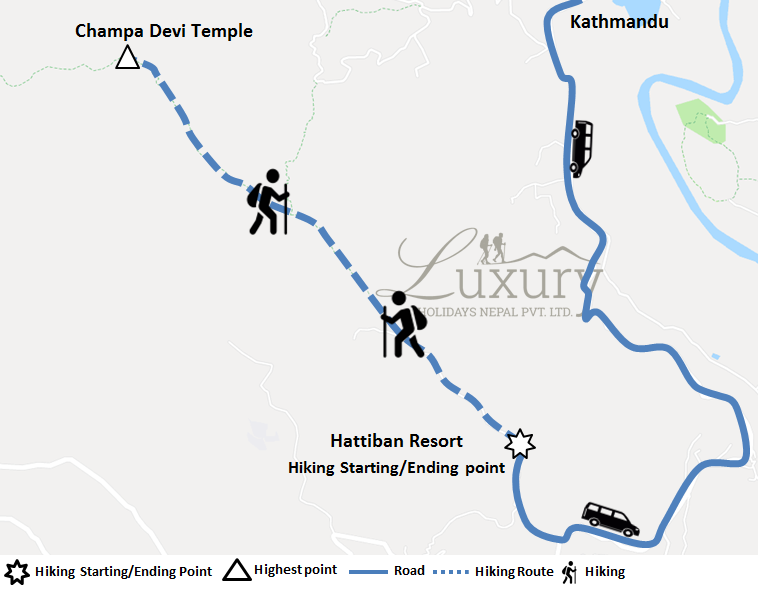 You can choose to stay overnight at the resort (cost excluded) or return back to Kathmandu on a private vehicle. If time allows, you can also opt to visit Taudaha Lake on the way back to Kathmandu and spend some time around the lake to rest and take photographs. Private Vehicle for ground transportion to and from the hike starts point.